Skylark Blog: Is a Friendly Divorce Possible? This question was recently discussed on a LinkedIn discussion board that I follow, and the consensus was clearly that friendly divorce IS possible. This is also the message of a recent Wall Street Journal article: The Divorce Generation. That doesn't mean that a friendly divorce is easy or even possible in every case. But more and more people who have reached the unfortunate conclusion that their marriage is over, do not want to have the drawn out and angry divorce that their parents had. To respond to this desire to find a better way, more and more attorneys are offering alternative dispute resolution services, to end your marriage in a better, more civilized way. 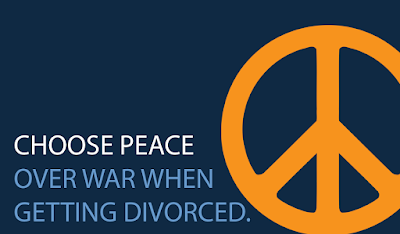 Most people probably think that the term "friendly divorce" is an example of an oxymoron. While many people do find themselves at odds with their exes once the divorce is over, there are a considerable number of couples who are able to remain on friendly terms once the divorce is complete. Just because the marriage is ending, that doesn't mean the process has to bring out the worst in you and your ex.